My first post of 2018. For the past few months, I haven't been really active, but at the same time active on my social media. I've been active in the sense that I follow and support all my friends as much as I can, whether it be updates on their life, sharing their incredible art or even supporting their business. I've been inactive in the sense that I've been neglecting my social media and my website. No, not because I'm lazy - but because I've been working on some big changes and a slight "refresh" of my brand that I thought it made sense to stop posting on IG, stop blogging and even updating my website so that I can prepare everything behind the scenes. There has been a post I've seen a couple times on FB that has been on my mind which is - "don't wait til 2018 to make your goals! If you have goals - get to them right away, otherwise they're just excuses!" I can see the reasoning behind that, but I am one of those people that tell myself I will start drinking more water starting next Monday. I admit I am one of those people that need extra push of selecting a "start date" instead of right away - because to me, it feels like I'm getting a fresh start. Sometimes - when we set goals, we may not achieve them 100%; We may get distracted, beat ourselves up for it - but that symbolic day of waiting until Monday (start of the work week), or first of the month, or even the new year - is just my way of telling myself, hey it's ok you failed previously, take that time to recharge and start fresh again when you're ready. That brief pause in time really helps me build up the hype and motivation within myself to set out on my goals whether it be a new one or an old one. 2017 proved to be a successful one as my photography has really gained a lot of momentum. 2018, I have even bigger things planned. I hope we all continue to support one another and I wish everyone a fantastic year! Get ready for my (subtle) social media mini makeover - because there are some shoots that I have been so fortunate to have been a part of. I'e been working behind the scenes with new changes to my website, even all of my future blog posts and IG posts that I will be rolling out starting today. To kick off my first post - here's a teaser video clip from one of our styled shoots we did this past fall with an amazing team. Video was shot and edited by Elisa Le and Stan Garcia. Blog post to come shortly with the my images from this shoot. Be sure to follow me for updates! Ellements Magazine: September 2017 Issue - "Femme Féroce"
I admit - I am terrible at blogging. Maybe my 2018 new year's goal? I went on this incredible journey as a photographer 5 years ago - met so many amazing people along the way and fostered many great relationships. When I heard that our editorial got accepted in one of New York's fastest rowing publication - I was ecstatic! I always admire all the talent that they feature and could not believe that I was even considered a part of this. This editorial has been one of my favourite ones we put together. Pushed through different changes of looks in a short amount of time. This shoot stars my favourite makeup artist, partner and friend. So sad that you are going to Toronto, but happy that you are continuing your dream. Oh - not to mention - I also attempted a very poor attempt at video. Still super proud of myself though - self-taught video editing by watching 8 hours of youtube to make a 30 second clip. I think that will be my next adventure :) I'll post it in the next post! Finally get to share this styled shoot we did a couple months ago that is now featured on Fab You Bliss. It took 16 incredible vendors to make this all happen. <3 Thank you to Joryli Romijn and her wonderful partner Raylene at The Bright Lights as the event coordinator to help share in my vision and making this one of the most grand styled shoots, I'ver shot. 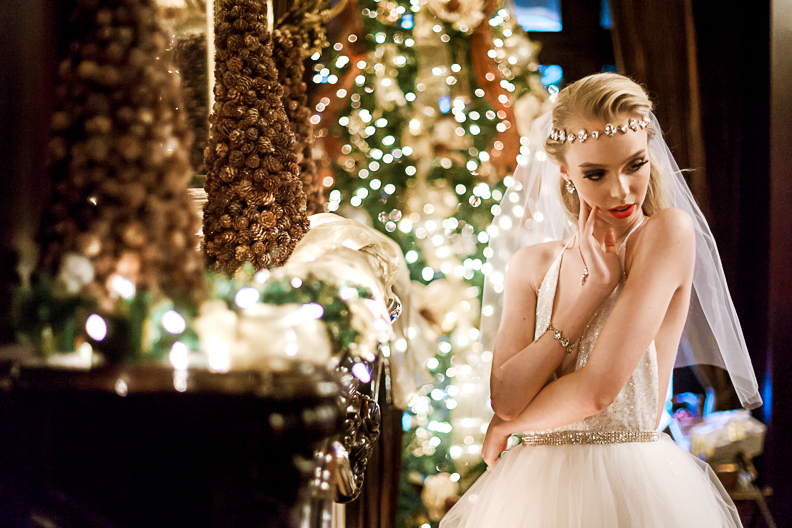 To all the amazing vendors who truly brought so much talent and effort into this shoot. In the beginning of 2016, we put together a really special styled wedding shoot that was published in spring for Fab You Bliss. Since it was Spring, this gorgeous holiday series was hidden away and I happened to stumble upon it again. This shoot was taken at the beautiful Wedgewood Hotel in Vancouver, Canada. It marks my very first styled wedding shoot that I had put together with such a fabulous team. This shoot was so important because it was the start of some good partnerships, and friendships. The modern open back dress was the highlight of the shoot, not to mention our beautiful model Kristen L from Wilhelmenia Models.